Colorado Freight Rates: Colorful Colorado, the Centennial State, is defined by its dramatic landscape. Although the state is beautiful to visit, trucking in Colorado can be challenging, thanks to the dramatic barrier of the Rocky Mountains, the difficult winter weather and hot and arid summers. If you are looking for advice and a price for shipping to, from or through Colorado, then use FRC Logistics’ free online instant quote generator. Our quotation system can give you an estimate for full truckload, less than a truckload or international shipping. Denver International Airport processes more commercial freight than any other US airport, so FRC Logistics also offers advice on international shipping. Colorado shares a four-way border in its south-west corner with Utah, New Mexico and Arizona. The I-25 bisects the state from north to south, linking Colorado to its northern neighbors and to Wyoming and to New Mexico below. All Colorado’s largest cities are located on the I-25, with Denver at its heart. Whatever your load and wherever it needs to go, try our online instant quote generator to find out how affordably and quickly FRC Logistics can get things moving. Colorado is the chosen home of numerous federal facilities, including NORAD and the US Air Force Academy. It has a diverse economy, with traditional industries such as agriculture and mining now sitting alongside modern high-tech industries, in particular aeronautical engineering. 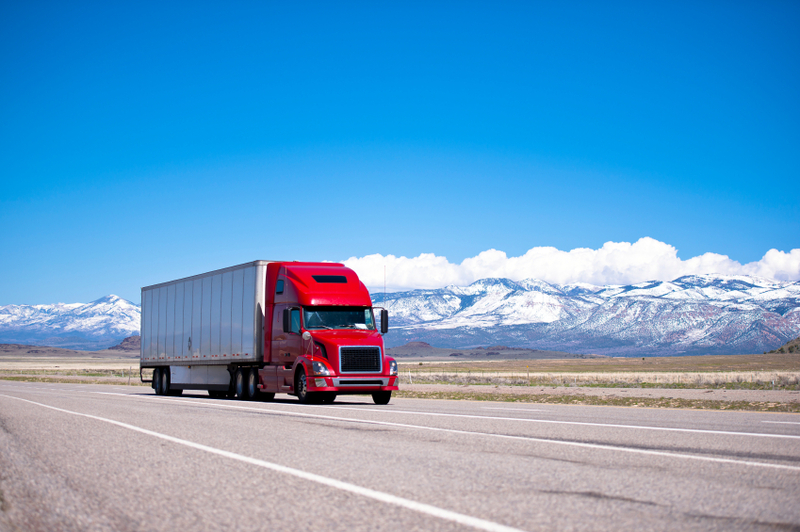 As a result, Colorado trucking companies frequently handle food products, computers, electronic instruments and machinery as well as coal and minerals. While a great deal of Colorado’s trucking industry is internal, over half of its transported goods, by value, travel out of state. 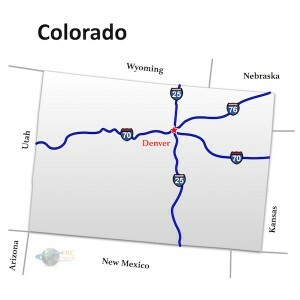 In particular, Colorado trucking companies regularly transport goods to New York, Texas and Illinois as well as its neighbors Arizona and California and far to the east, to Florida. Colorado requires all commercial vehicles to carry chains from September 1st to May 31st if traveling on I-70 between Morrison and Edwards. Legal travel times in Colorado are from sunrise to sunset. There are extensive curfew restrictions on extra-large loads around rush hour in the Denver area and other major cities. Work is ongoing on the I-70 twin tunnels project, which may impact on journey times. Overhang: 4’-0” front and 10’-0” rear. 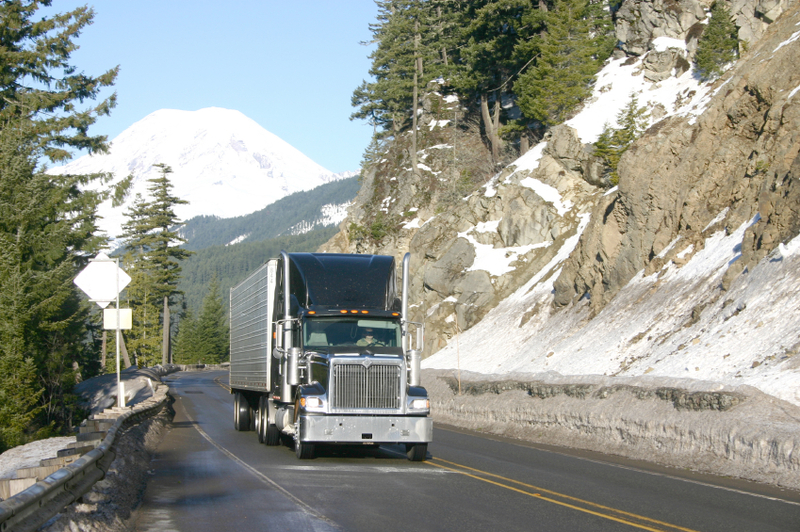 Oversize or overweight loads are restricted from traveling when hazardous conditions exist. Oversize movement is never allowed when the chain law is in effect, with overweight vehicles only allowed to proceed once weather conditions allow. Colorado grants over-size trucking permits to vehicles up to 150’-0” long, 16’-0” high, 17’-0” wide and weighing up to 200,000 pounds. One or two pilot cars are required in Colorado for trucks exceeding 85’-0” on mountain roads (110’-0” on others) that are up to 13’-2” in width and 16’-1” in height. Permits, forms and information can be accessed on the Colorado DOT website.